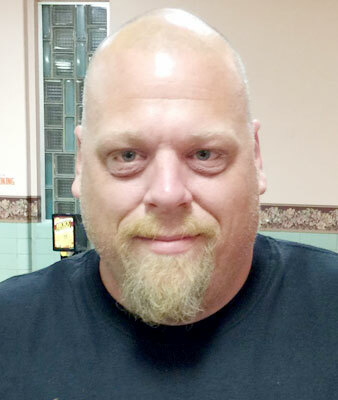 AUSTINTOWN - Funeral services will be held Saturday at 1:30 p.m. at the Higgins-Reardon Funeral Homes, Austintown Chapel, for Jason W. “Chip” Chappell, 45, who died unexpectedly Saturday at East Liverpool Hospital. Chip was born July 20, 1973, in Beaver Falls, Pa., the son of Harold and Vivian (Murphy) Chappell. He was a 1992 graduate of Leetonia High School. Chip worked as a bail bondsman for many years, co-owning and operating Mobile Bail Bonds since 2008. In his spare time, Chip enjoyed playing cards, riding motorcycles, caring for horses, and spending time in Mill Creek Park. Chip loved life, but above all, he cherished the time he spent with his family and close friends, especially his children, whom he absolutely adored. Chip is survived by his parents, Harold and Vivian Chappell of Salem; his daughter, Paige Chappell of Austintown; son Austin Chappell of Austintown; sister Racheal (Chappell) Hout of Leetonia; several aunts, uncles, cousins, friends; and his beloved dog, Maggie. Family and friends may call Friday from 4 to 7 p.m. and Saturday from 11:30 a.m. to 1:30 p.m. at the funeral home.